When old Harlan finds an intruder on his property… Well, they’re intrudin’ on his property. He exercises his right to defend his family and farm, and sets off a chain of events that the local community wouldn’t ever dream of. 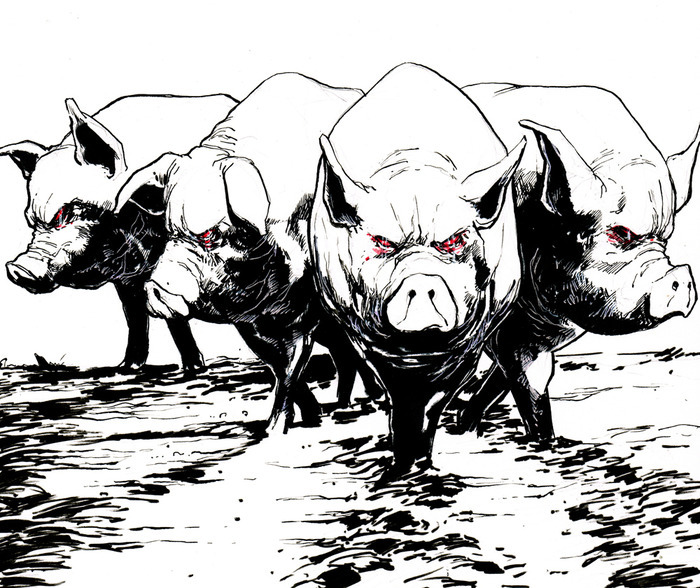 Welcome to the world of SENTIENT ZOMBIE SPACE PIGS. 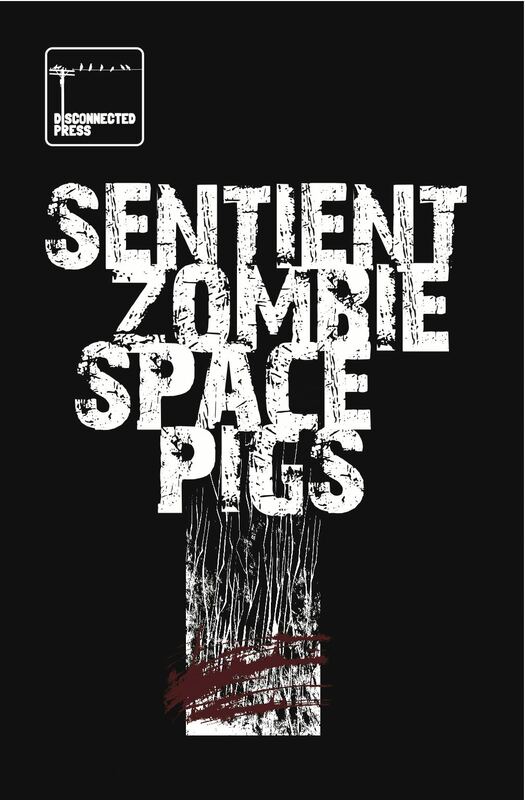 Sentient Zombie Space is a four part story, and you can buy The Whole Hog (sorry) from our Comicsy shop for the ridiculous price of £4 plus P&P. Yep, that’s 80 pages of farmyard zombie mayhem for just £4. We’ve also created two-issue bundles – you can buy issues 1 & 2 together or issues 2 & 4. For single issue orders or other combinations, please contact lizzie@disconnectedpress.co.uk. Launched in August 2013, SENTIENT ZOMBIE SPACE PIGS is the brainchild of Lizzie and Conor Boyle. Lizzie Boyle is a writer of comics and fiction. She produced Secret Gardens and Do Aliens Play Basketball? for Disconnected Press and has also been published in FutureQuake’s Something Wicked and Zarjaz, Dead Roots and The Psychedelic Journal of Time Travel. Her debut graphic novel The Heart Which Makes Us was published as part of the Unseen Shadows universe in November 2015. Her short fiction has published in the Bristol Short Story Prize anthology, and she has been shortlisted for the Fish Publishing Short Story Prize, the Frome Short Story Competition and the Flash500 Flash Fiction Competition. Conor Boyle‘s debut graphic novel Who On Earth Was Thaddeus Mist? was published by Accent UK in 2012. A second, Pirates of the Lost World, was published by Markosia in 2013, closely followed by On Dangerous Ground, the official graphic novel to commemorate the 700th anniversary of the Battle of Bannockburn (published by the National Trust for Scotland). He is part of the artistic team for Barry Nugent’s Tales of the Fallen, drew Dark Judgements 1 and 2 for FutureQuake Press, and has contributed to Disconnected, The Psychedelic Journal of Time Travel and Dead Roots.